Joanna Moody is a consultant at the World Bank and a PhD candidate in transportation at the Massachusetts Institute of Technology, where she manages two research projects as part of the Energy Initiative Mobility of the Future consortium. Her doctoral research measures social status bias (car pride and bus shame) and how it relates to travel behavior and transportation planning. This research was awarded the Lee Schipper Memorial Scholarship in 2017. Ms. Moody previously served as the senior research assistant for a three-year research program with East Japan Railway Company that focused on understanding high-speed rail projects as sociotechnical systems. Her master’s thesis was awarded the CUTC award for outstanding master’s thesis in planning and policy in 2016. She also received a UTC Fellowship in 2014 and Eisenhower Graduate Fellowships in 2015 and 2016. As our student awardee Ms. Moody will receive $1,000 plus the cost of attendance to the 98th Annual TRB Meeting taking place in Washington, DC January 13-17, 2019. All of the national UTC award winners will be honored at the 27th Annual Outstanding Student of the Year Awards ceremony, which is scheduled to take place as part of the CUTC annual banquet on Saturday, January 12, 2019. Ms. Moody was awarded the 2018 UTC Outstanding Student of the Year Award by the New England University Transportation Center at MIT for several reasons. Her research, academic record, professional experience and student leadership in the field of transportation studies all contributed to make her the award-winning candidate. 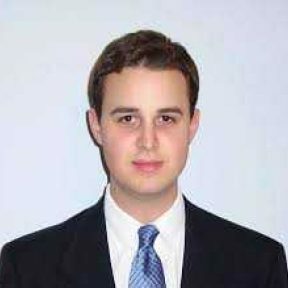 Nicholas Fournier completed a bachelor’s degree in Civil & Environmental Engineering in 2011 at the University of Massachusetts, Amherst. 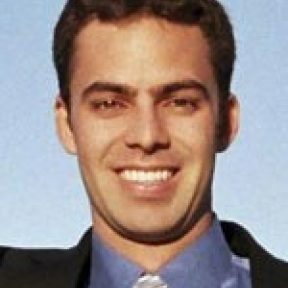 He worked for three years as a civil engineer in San Francisco before returning to graduate school for a master’s degree in Regional Planning in 2014, but continued for a masters and PhD in transportation engineering. His research is continuously evolving, but includes bicycle infrastructure safety, bicycle demand modeling, socio-spatial demography, and multi-modal system modeling. He was previously intern for the U.S. Department of Transportation at the Volpe National Transportation Center and hopes to pursue a career in academia. His top accomplishments are: • Recipient of the Daniel B. Fambro Student Paper Award, National ITE and the Dwight D. Eisenhower Fellowship in 2016. • Published two academic journal papers titled “A sinusoidal model for seasonal bicycle demand estimation” in Transportation Research Part D and “A mixed methods investigation of bicycle exposure in crash rates” in Accident Analysis and Prevention. As our student awardee Mr. Fournier will receive $1,000 plus the cost of attendance to the 2018 96th Annual TRB Meeting taking place in Washington, DC January 7-11, 2018. All of the national UTC award winners will be honored at the 26th Annual Outstanding Student of the Year Awards ceremony, which is scheduled to take place as part of the CUTC annual banquet on Saturday, January 6, 2018 at 6:30 PM. Mr. Fournier was awarded the 2017 UTC Outstanding Student of the Year Award by the New England University Transportation Center at MIT for several reasons. His research, academic record, professional experience and student leadership in the field of transportation studies all contributed to make him the award-winning candidate. 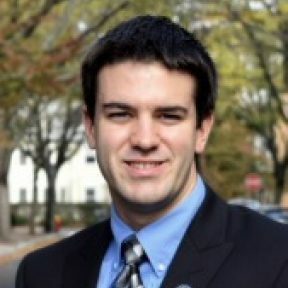 Parker Sorenson is a second year graduate student pursuing his master’s degree in Transportation and Urban Engineering at the University of Connecticut. Previously, Parker graduated with his bachelor’s degree in Civil Engineering in 2015 from UConn. Within the Sustainable Cities Research Group, Parker focuses on understanding complex shared spaces and the interactions that take place between users across a wide spectrum of these spaces. He has also been honored to receive the Department of Civil Engineering Teaching Assistant of the Semester Award for Spring 2016. Parker was awarded Teaching Assistant of the Semester in the Department of Civil and Environmental Engineering at UConn in the Spring of 2016. He was instrumental in overhauling lab materials for CAD instruction, and was solely responsible for the instruction of this material to some 60 undergraduates. Parker was awarded the 2016 UTC Outstanding Student of the Year Award by the New England University Transportation Center at MIT for several reasons. His cutting edge research, his academic ability, his student leadership, and his advocacy work all contributed to make him the award-winning candidate. 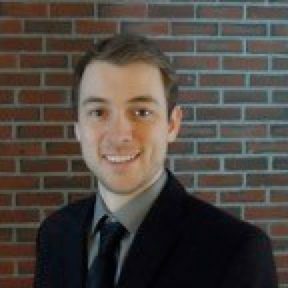 Cole Fitzpatrick is a Ph.D. candidate at The University of Massachusetts, Amherst where his work focuses on roadway safety and human factors. In 2014, Mr. Fitzpatrick was awarded, an NSF Innovation Corps grant. This led to him receiving a fellowship in 2015 from the UMass Isenberg School of Business to continue this work. He also served as the UMass Institute of Transportation Engineers (ITE) Student Chapter President during 2014-15. In addition to receiving the Outstanding Student Paper Award from the ITE Northeastern named ITE Student Chapter of the Year in the Northeastern District. Mr. Fitzpatrick’s leadership extended beyond ITE as he also served on the Graduate Student Senate in the Civil and Environmental Engineering Department. This leadership experience led to him being selected as an Eno Fellow, and attend the Eno Future Leaders Development Conference where he had the opportunity to learn about the top transportation issues facing Capitol Hill, and meet Secretary Anthony Foxx. Mr. Cole Fitzpatrick is awarded the 2015 UTC Outstanding Student of the Year Award by the New England University Transportation Center at MIT for several reasons. He combines research, academic performance, professional contributions both within and outside of academia, and leadership characteristics. His work on driver behavior spans several topics of interest to the transportation and policy communities, including the maintenance of roadways and their surrounds, driver distraction, and individual safety. His research, academic record, professional experience and student leadership in the field of transportation studies all contributed to him receiving this award. Jing Ding-Mastera grew up in Changchun, Jilin Province, China. She attended Tianjin University, China where she earned her Bachelor of Engineering degree in 2010 and was ranked first out of 344 students in the Department of Civil Engineering. She has been a student at the University of Massachusetts, Amherst since 2010 and earned her M.S. in Civil Engineering in 2012. She is currently a doctoral candidate in Transportation Engineering working on her thesis entitled “Adaptive Route Choice Analysis: Algorithms, Model Specifications and Estimations with Revealed Preference Data”. She was the President of the UMass Student Chapter of the Women in Transportation Seminar (WTS) in 2013-2014. 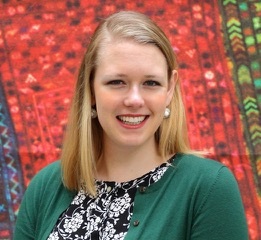 She has received many scholarships, including: WTS-Connecticut Helene M. Overly Scholarship, Dwight David Eisenhower Transportation Graduate Fellowship, WTS-Boston Ann Hershfang Scholarship, and was selected to attend the 2014 ENO Leadership Conference. 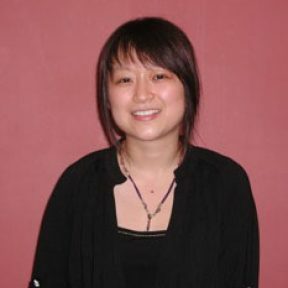 Ms. Ding-Mastera was awarded the 2014 UTC Outstanding Student of the Year Award by the New England University Transportation Center at MIT for several reasons. Her work lies in a set of key questions in transportation research, focused on questions of travelers' route choice. As part of her thesis work she has developed network algorithms that may have broader implications for transportation networks more generally. Furthermore, she has distinguished herself as a student leader in the field of transportation studies, active in the Institute of Transportation Engineers and serving as president of the Women's Transportation Seminar. Her research, academic record and student leadership made her the award-winning candidate for this prestigious award. Cara Ferrentino received her masters degree in city planning from the Department of Urban Studies and Planning at the Massachusetts Institute of Technology (MIT) in June 2013. While attending MIT, Cara's coursework included urban transportation, urban design, Geographic Information Systems, local government and zoning, stormwater management, urban energy systems, and public finance. Cara was responsible for analyzing the evolution and impacts of local parking and travel demand policies for the MIT Transit Research Lab. She also evaluated city-led urban agriculture initiatives for a faculty research project that focused on pushing beyond best practices to examine what has worked and why for the Urban Sustainability Directors Network. Cara also holds a master of philosophy in environmental policy from the University of Cambridge and a bachelor's degree in environmental science from Harvard College. Cara previously worked as a summer public policy fellow in the Economic Planning and Development Department for the Massachusetts Port Authority. In this role, she analyzed the transportation, urban design, real estate, and political implications of a proposed roadway reconfiguration project on 15 acres of the South Boston Seaport area and developed recommendations for project implementation. She was one of 14 fellows selected from 100 graduate student applicants based on potential for civic leadership. From 2008 to 2010, Cara served as the Harvard Law School Sustainability Program Coordinator where she achieved a 7 percent reduction in emissions below 2006 levels from managed projects, attained an 80 percent recycling and compost rate at a 3,000-person luncheon, and developed a new university-wide Green Office checklist and certification program. These activities and distinctions make Cara uniquely qualified to receive this award. Based on her academic merit and positive contributions to improving sustainability and reducing emissions, the New England University Transportation Center is proud to select Cara Ferrentino as its 2013 Outstanding Student of the Year. Ms. Kelly Bertolaccini earned dual undergraduate degrees in Civil Engineering (B.S.) and English (B.A.) from the University of Connecticut (UConn) in 2010. After graduating, she entered UConn’s Transportation Engineering and Urban Planning graduate program. Ms. Bertolaccini recently defended her Master’s thesis on the equitable distribution of transit services and will continue her graduate studies as a PhD student in UConn’s transportation program. She will participate in a graduate exchange program with the University of New South Wales, Australia this spring semester. Since entering UConn’s graduate program, Ms. Bertolaccini has explored a range of research topics related to social equity, public transportation, and economic development. In her first year, she received an Eisenhower Fellowship to compare the transportation policies and strategies of countries from around the globe and partnered with a Ghanaian colleague to assess the effects of highway design in Accra. Recently, Ms. Bertolaccini worked with the CT Department of Transportation to investigate methods for strengthening the linkage between the state’s capital investments and its long term transportation goals. Her dissertation research, funded by the Eisenhower Fellowship program, will focus on creating effective and equitable Bus Rapid Transit systems. 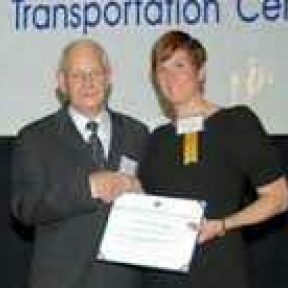 Ms. Bertolaccini is current serving as the president of UConn’s chapter of the Institute of Transportation Engineers. In addition to being selected as the NEUTC and CTLS Student of the Year, she has received the ITE CT Chapter Scholarship and the Overly Memorial scholarship from the Women’s Transportation Seminar. The quality of Ms. Bertolaccini’s scholarly work and her academic achievements and awards— as well as her leadership activities—all contributed to the basis for her selection as Region One’s awardee. 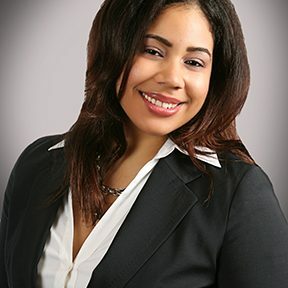 A native of the Dominican Republic, Ms. Gomez received her dual Bachelor of Science degrees from Rensselaer Polytechnic Institute where she majored in Civil Engineering and Psychology. Currently, she is a PhD student enrolled at the University of Massachusetts Amherst in the Department of Civil and Environmental Engineering – Transportation Engineering. Since joining UMass, Ms. Gomez has focused her work on transportation safety and human factors, examining areas such as pedestrian safety, injury outcomes from crashes, and the use of a driving simulator to research and develop methods for evaluating traffic signals and signs. 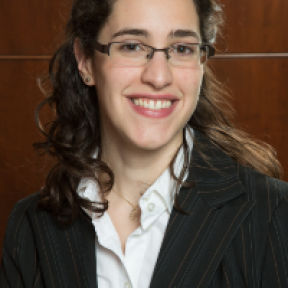 In addition to her research interests, Ms. Gomez has been an active member of the UMass Student Chapter of the Institute of Transportation Engineers where she is currently serving as the President and Ethics Committee member. She’s an active member of the New England Chapter of the Human Factors and Ergonomics Society and serves as the treasurer of the Women’s Transportation Seminar – Boston UMass Student Chapter. She has been recognized as an Eno Fellow, NSF-AGEP Fellow, recipient of NEITE Thomas E. Desjardins Memorial Scholarship and the Volpe National Transportation Systems Center Best Research Presentation Award, among others. Ms. Gomez’s academic excellence, her numerous awards and her participation in several professional organizations all contributed to the basis for her selection as Region One’s awardee. 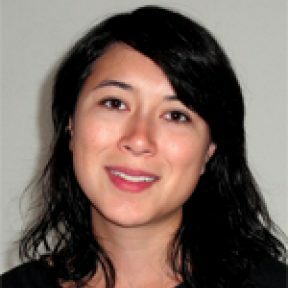 Lisa recently graduated from MIT with joint Master’s degrees in City Planning and Transportation. While at MIT, through partnerships with universities in Portugal, she conducted research on metropolitan governance issues and on urban form in Portuguese cities. She has recently worked with the EMBARQ Center for Sustainable Transport in Mumbai, India, where she studied the impact of India’s urban travel trends on carbon emissions. Prior to returning to school, she served as a Peace Corps Volunteer in Mandeville, Jamaica, where she worked with an NGO to create the region’s first sustainable development plan. She recently returned to Mandeville with a fellowship from MIT’s Public Service Center to lead a community-based urban design workshop. Lisa received a bachelor’s degree in Civil and Environmental Engineering from the University of Michigan, where she also became an active promoter of urban bicycling. Today, Lisa is primarily interested in understanding the role of transportation in the city, and hopes to work across traditional disciplinary boundaries in this aim. Lisa’s academic excellence, her work on the MIT Portugal project, her outreach work and her ability to be part of a team to accomplish a goal all contributed to the basis for her selection as Region One’s awardee. A lifelong student of transportation systems, Travis Dunn has applied his formal education in civil and transportation engineering to a variety of research and professional pursuits. His areas of interest include infrastructure system management, technology deployment, and strategy development. As a PhD candidate at MIT, his research focuses on the design and evaluation of alternative frameworks for surface transportation policy and investment decision-making in the country of Portugal. In addition, he has assisted in the teaching of several undergraduate and graduate courses in transportation systems. Prior to pursuing a doctoral degree, Mr. Dunn worked as a consultant providing technical and policy support to a variety of transportation clients in the areas of asset management, technology evaluation, and road pricing. The choices Mr. Dunn has made in spending two years with Booz, Allen and Hamilton and his international experience both serve to broaden the perspective he brings to bear on strategic transportation issues and contributed to the basis for his selection as Region One’s awardee. 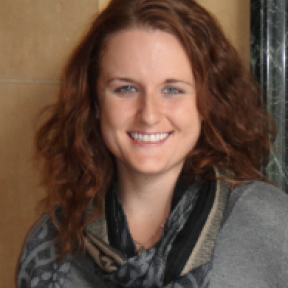 Heather is a PhD candidate at the University of Massachusetts, Amherst in the Department of Civil and Environmental Engineering – Transportation Engineering. She received a BS from Smith College where she majored in sociology and minored in public policy and an MSCE from UMass Amherst in Civil Engineering – Transportation. Since joining UMass, Heather has focused her work on transportation safety and transportation policy examining areas such as teen driver policy, older driver safety, injury outcomes from crashes, and commercial vehicle safety. In addition to her research interests, Heather has been an active member of the UMass Student Chapter of the Institute of Transportation Engineers, including one term as its President. She serves as the secretary of the TRB Committee on Women’s Issues in Transportation and is an active member of the Women’s Transportation Seminar – Boston Chapter. She has been recognized as an Eno Fellow, recipient of the WTS Boston Ann Hershfang Scholarship, and the NEITE Stantec Student Paper Award. Heather’s superior academic achievement, the significant results of her research work, and her involvement in numerous activities contributed to the basis for her selection as Region One’s awardee. Also, her background in sociology and public policy provides the type of background that is needed today in the transportation enterprise. a variety of aerospace and transportation clients. aviation infrastructure costs in the United States. Institute of Aeronautics and Astronautics. Technology, Management, and Policy Program, has been named the New England University Transportation Center Outstanding Student of the Year. Like past recipients of the award, Hall is being honored for his recent achievements and in anticipation of his future contributions to the transportation field. Hall and the winners from other regions will receive their awards in January in Washington, D.C., during the Transpor-tation Research Board’s annual meeting. The award includes a $1,000 cash prize. sustainable transportation. Hall recently relocated to California, where he has begun a two-year post-doctorate study at Stanford University, focusing on applied research in sustainable water and sanitation services in developing countries. In addition, Hall will co-teach a course titled “Sustainability in Theory and Practice” to undergraduate and graduate engineering students. “The Sports Nerds” and “Talkin’ Baseball” on KAMP Radio. registered Engineer-In-Training in the State of Arizona. contribution to the field of transportation. 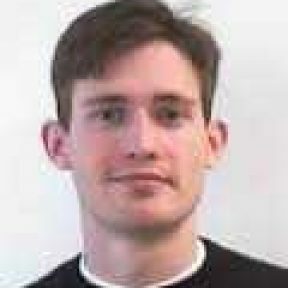 James Barrett Sorensen is pursuing a Master of Science in Transportation degree from the Massachusetts Institute of Technology, Department of Civil and Environmental Engineering, in Cambridge, Massachusetts. He is a member of MIT Transit Research Program — a collaborative research effort between MIT, local universities and the public sector. His research focus is on development of a drive-access transit model for the Boston Metropolitan region. The model is being applied toward development of policy recommendations concerning park-and-ride, kiss-and-ride, and bus-access-to-transit facilities. James spent the past summer with IBI Group as a transportation intern, participating in such projects as the development of the Southeast, Central and Western Massachusetts’ Regional ITS Architectures and the Long Range Transportation Plan for Chemung County, New York. James graduated with honors from the University of California – Davis with a Bachelor of Science degree in Civil Engineering. His interest in transportation was shaped by internships with the City of Davis, California and Y&C Transportation Consultants, a Sacramento-based consulting firm. His work for The City of Davis included a wide range of traffic studies and community transportation issues. His consulting internship included work on intersection and corridor analyses, transportation facilities construction, and light-rail transit station modification. James’ other interests include travel, cinema, athletics, and spending time with his lovely wife Amelia. James was selected based upon a competitive process that included all eligible students who received financial support from the New England University Transportation Center. His excellent academic record, his intern experience and the clear promise of future leadership and contribution to the transportation profession provided the basis for his selection. include travel, architecture, wine tasting, movies, and history. transportation profession provided the basis for his selection. in the teaching of courses on carrier systems and network algorithms. there includes transportation planning and modeling. and the MIT AgeLab. Her dissertation research, supervised by Dr. Joseph F.
forecast the scope and transportation policy implications of an aging society. California, Berkeley in Civil Engineering.